Peripapillary atrophy (PPA) is a normal feature in the optic disc region, which might be associated with diseases like glaucoma and myopia. On fundus photography, the PPA is classified into the alpha zone and the beta zone, which is defined as the outer region with irregular hyperpigmentation and hypopigmentation, and the inner region with visible sclera and visible large choroidal vessels . With the help of the optical coherent tomography, the microstructure base of PPA is defined. The traditional beta zone PPA is divided into beta zone with overlying Bruch’s membrane and newly gamma zone without overlying Bruch’s membrane . The beta zone PPA was widely investigated to be associated with the presence and progression of glaucoma [3, 4]. 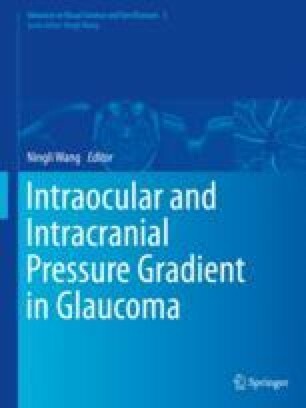 However, its etiology and the potential interactions with glaucoma development and with the intraocular pressure (IOP) are unknown.